Personalisation is a much talked about trend in ecommerce these days, with retailers keen to create customer experiences that adapt to people’s behaviours and interests. The Holy Grail is to create infinitely adaptable experiences that cater for our uniqueness and nowhere is this exhibited more than in fashion and beauty, where the products we buy help define our individuality. We’ve all got used to the concept of product recommendations and upsells being shown to users based on previous views/purchases and this extending into personalised editorial content and emarketing, but what about when users can customise the products too? And how can the choices they make help retailers personalise their offering in the future? Here’s how three brands are approaching this. London-based online startup, Santamaria sell bespoke tailored shirts. They have a small collection of off-the-peg shirts, but it’s their bespoke offering and the way they serve it up online that’s impressive. Customers can configure their shirt in great detail, with a whole range of options including fabric, collar style, cuff shape, pockets, button and thread colours. It’s a truly customisable product that caters for customers who wanted to feel like they’re being treated as individuals. All of this customisation wouldn’t be worth a thing though without being able to visualise the choices you’re making. Santamaria have done a good job here with a very realistic 3D model that updates in realtime as you choose your fabric and features. The system also allows you to zoom in and check out fine details, essential for a finely tailored product like this. So the system works for users, it’s easy and fast to use but it’s also fun, an often overlooked part of UX. Such high levels of user interaction must also provide Santamaria with bags of data about customer preferences that can help shape what they do in the future and what return visitors are served. Makeup is perhaps the ultimate customisable product range. The greatest barrier to selling it online is that customers can’t see the product in the flesh or try it on themselves. To help get around this, L’Oreal launched their Makeup Genius app, which allows users to apply all sorts of makeup to their face in real-time, using the device’s camera. When this technology is poorly implemented it can reflect really badly on product quality, but L’Oreal’s app is slick and gives a pretty realistic impression of what different makeup will look like on your face (although admittedly I tried it on my own 42-year old, bearded man’s face). There’s a large product range in there, categorised sensibly and the UI is intuitive and attractive, so important for an image conscious brand like L’Oreal. There’s also clever features like a split screen where it will apply the makeup to only half of your face to give a before and after effect, and a barcode scanner so that you can easily load in makeup products that you already own and want to complement. They also take the opportunity to provide bags of inspirational editorial content about the latest looks and trends, and preloaded looks to visualise on your face with a single click. But it’s not just a gimmick for L’Oreal. As soon as you visualise a product on your face, it gets added to a list that you’re encouraged to add to the basket, making it really easy to visualise, select and purchase products. Users are also encouraged to register and you can bet that L’Oreal will be collecting data on which products users are trying out and going on to purchase, which will all feed into future sessions allowing content to be personalised. 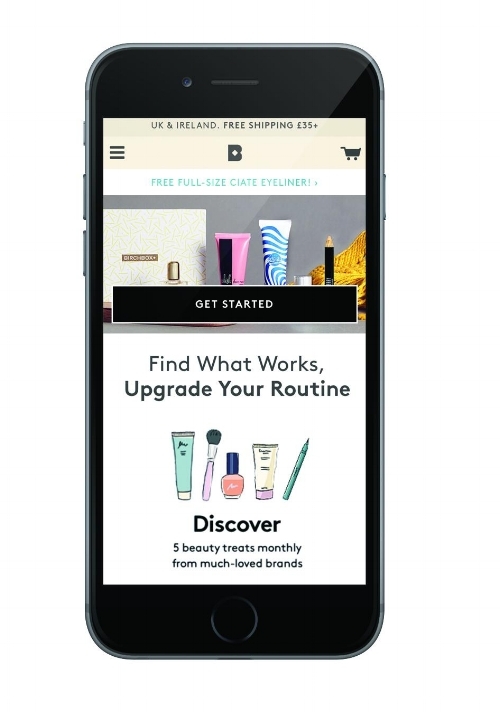 Launched in 2010, Birchbox is an online beauty product subscription service. Customers sign up to receive a monthly beauty box containing a personalised mix of products, based on their answers to questions about complexion, hair, age, skincare concerns, personal style and level of beauty knowledge. The contents of the beauty box are decided by Birchbox based on each customer’s profile, to try and ensure that the most relevant products are sent. Most products are samples or small sizes for the customer to try, in the hope that they will then order a larger size from Birchbox if they like what they see. Ongoing interaction is encouraged by rewarding points every time the customer places an order, refers a friend or reviews a product, all of which provide further data to Birchbox with which they can profile their customers and personalise the offering even more. 31% of ecommerce site revenues were generated from personalised product recommendations in 2016. Conversion rates of visitors clicking on personalised product recommendations was found to be 5.5 times higher than those who didn’t click on those recommendations. It’s human nature to prefer being treated as an individual and to feel that products we’re offered suit our preferences and personalities. When this is combined with being able to customise products or groups of products, it becomes an even more powerful offering. This is set to remain an important shopping trend amongst ecommerce customers.